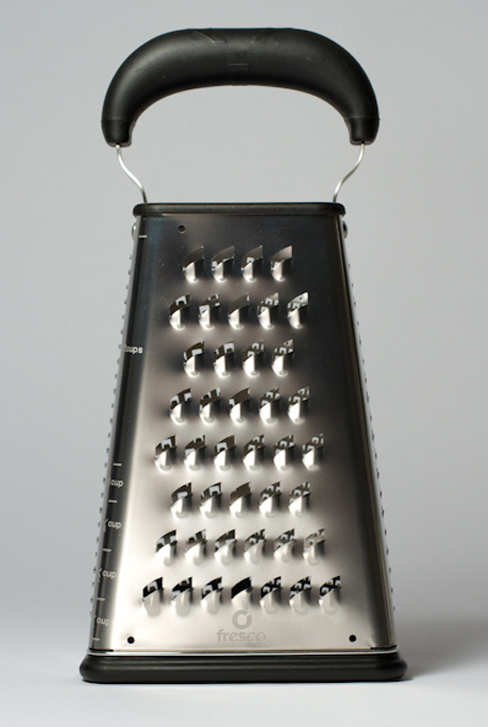 Box Grater for Fresco Canada 2011. Ergonomic grip. High quality etched grating surface. Bottom catch tray is a non skid base. Photo: David Blotner.